Please find below further information on exam requirements, as well as costs and further information on each certification. This is for a new entrant to Data Management, or someone who has been in Data Management for a short time and wants to progress their career path to becoming an Advanced Data Management professional (CDMP® Practitioner). It is also a useful certification for CIOs and related senior management who are looking for a thorough understanding of the principles of Data Management. The requirements are focused on ensuring that the individual has a basic knowledge of Data Management and is thoroughly conversant with the DMBoK (Data Management Book of Knowledge) Version 1, as well as any number of the resources mentioned in each chapter. 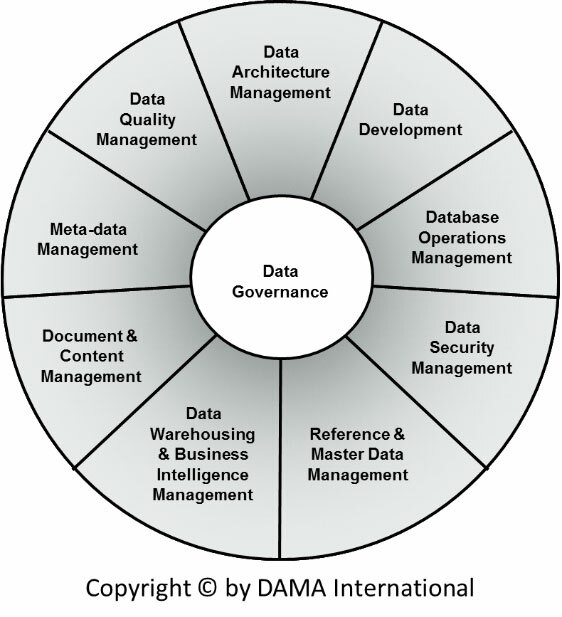 The Certification exam is preceded by a Data Management Fundamentals preparation workshop, led by a DM expert, which will not only include revision tips and techniques but also work on a set of practice questions. The requirements are focused on ensuring that the individual has a detailed knowledge of Data Management and is thoroughly conversant with the practice of Data Management in a responsible professional capacity. The Certification exam is preceded by a Data Management Advanced preparation workshop, led by a DM expert, which will not only include professionally facilitated discussions, but also work with a set of practice questions. This certification is for those professionals who have mastered the concepts, skills and practices of their data specialisation and who have the ability to lead and mentor a team of data professionals. This is for those individuals who have detailed expertise in their areas of specialisation and are considered thought leaders in the field of Data Management, by virtue of their leadership and being able to share their detailed knowledge with other DM professionals. If you achieved 80% in any of the 3 exams at Advanced level, you will not need to repeat those exams, or if 80% in all 3 exams at Advanced level, this is N/A. Update Continuous Professional Development online. DAMA South Africa membership is required (unless you are already a DAMA SA member). The international 14-month membership is optional. * Choose your 2 electives from the DMBoK framework on the left. * You can substitute like exam instead of 1 elective (e.g. MCSE for Data Operations) and that reduces price. Only one Elective Exam may be substituted for a certification in a similar function / topic / knowledge area. Please bring to the attention of info@velisaafrica.co.za any other certifications not mentioned explicitly here-in that you feel may meet the requirements; we will forward to DAMA SA to review and advise. Please supply us with your transcripts (CV, letter of motivation, membership status etc.) for us to review your application to take the exam. Email : info@velisaafrica.co.za, or fill out the form below. No exam may be written without prior payment, so your booking will only be confirmed after payment.